with community values focused on students respecting each other. A school of excellence, integrated state kindergarten, Montessori programmes for Years 1 – 8, Gifted and Talented program, International Baccalaureate, PYP IB programme (Primary Year Programme of the International Baccalaureate) and Montessori Classes. A modern, future-focused learning environment with a culture where the children and teachers work and learn together collaboratively. Student-led learning is an outstanding feature of the school’s educational success. An extensive range of activities engage children in authentic and meaningful learning contexts. The community is rightfully proud of this school and the extensive educational opportunities it provides for children. International students are well integrated into school life and benefit from high levels of social connectedness, which is the school’s basis for positive learning. Glendowie Primary School is a Decile 10, full primary school catering for students in Years 1-8 (aged 5-13 years old). The School is a state authorised International Baccalaureate School (IB) offering the Primary Years Programme (PYP). This allows the school to deliver an International and National curriculum. The PYP offers a comprehensive approach to teaching and learning including programmes for gifted and talented, ESOL and special needs. Our ESOL department gives specialist support and a specialist teaching programme in all aspects of literacy and a language programme needed to support the classroom learning programme in other curriculum areas. Our teaching teams are provided with high quality professional development programmes to support and enhance their delivery of the school’s curriculum, also the school’s culture is one in which children and teachers work and learn together collaboratively. Social responsibility is a key value actively promoted by all who participate in and contribute to the school’s success. Our school focus on co-operative and collaborative learning promotes children’s well-being. Literacy and numeracy are appropriately prioritised in the curriculum as foundation learning areas. An extensive range of co-curricular activities, sports and cultural programmes, environmental experiences and education outside the classroom activities engage children in authentic and meaningful learning contexts. The school’s e-learning vision is designed to further enhance the quality of the school’s digital learning processes. Roll: about 654; 17 International Students. Glendowie Primary School is an “I Care” school which places the highest priority on providing a quality teaching and learning programme. Our students will become confident, compassionate, life- long learners, encouraged to achieve their full potential by actively participating in our country and as citizens of the world. To provide and support a quality teaching and learning programme in which every student is stimulated to learn and achieve personal excellence. To strengthen our assessment and reporting procedures using evidence based practices which can then be used to support the learner, the parents/whanau and the implementation of new teaching strategies. To enable students to develop the competencies, knowledge and skills to become lifelong learners with the ability and confidence to adapt to change and accept challenges. To provide a curriculum that fosters our school identity, and our school values, and promotes the attributes of local and global citizens with a shared sense of humanity and care for the world we live in. To provide quality resources which support the learner and community. 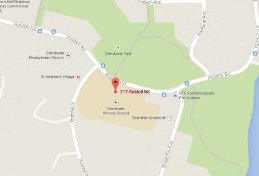 Glendowie Primary School is situated in the Eastern Suburbs of Auckland about 15 minutes from the centre of Auckland. Our school is in an idyllic setting, surrounded by parks, bush and the Tamaki Estuary and is in close proximity to the Eastern Bays beaches. The school was built in 1952 and a comprehensive building programme has continued to keep pace with roll growth and the extensive curriculum offered. Sommerville Satellite Unit for special needs students, an Independent State Kindergarten, and an independently run After-School and Before-School Care programme. Glendowie Primary School A student advisor will be in contact within one working day.